LEFT SIDE - PASSENGER SIDE FRONT DOOR CARD taken from CHEVROLET ORLANDO 2012. Nearside Rear Door Card. Orlando LTZ VCDI (MK1 (J309)) (ABS). Electric Front & Rear Windows/Electric Wing Mirrors. 5 Door MPV. The table below contains further information. Vehicle Photographs & Guide. Nearside Front Door Card. Orlando LTZ VCDI (MK1 (J309)) (ABS). Electric Front & Rear Windows/Electric Wing Mirrors. 5 Door MPV. The table below contains further information. Vehicle Photographs & Guide. Offside Front Door Card. Orlando LTZ VCDI (MK1 (J309)) (ABS). Electric Front & Rear Windows/Electric Wing Mirrors. Exterior Colour Code. 5 Door MPV. The table below contains further information. Manual 6 Speed. RIGHT SIDE - DRIVER SIDE REAR DOOR CARD taken from CHEVROLET ORLANDO 2011. 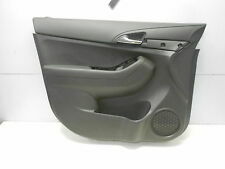 LEFT SIDE - PASSENGER SIDE REAR DOOR CARD taken from CHEVROLET ORLANDO 2011. RIGHT SIDE - DRIVER SIDE FRONT DOOR CARD taken from CHEVROLET ORLANDO 2011. OSF DOOR CARD. CHEVROLET AVEO. LH Driver Side Blue Front Door Armrest. GMC C/K Series Sierra. Chevrolet C/K Series Silverado. Color Blue. Primary Color Blue. We have more than 15 years of OEM parts experience. Part Number 15546487. 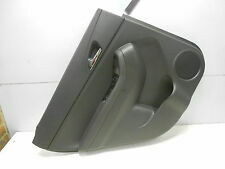 LH Driver Side Front Door Armrest. Door Armrest. Chevrolet Blazer. Chevrolet Suburban. GMC Sierra C/K. Chevrolet Silverado C/K. Color Grey. Surface Finish Gray. Nearside Front Door Card. Spark LS (MK1 (M300)) (ABS). 5 Door Hatchback. The table below contains further information. Electric Front Windows/Manual Door/Wing Mirrors. Vehicle Photographs & Guide. Internal Part Reference Number. 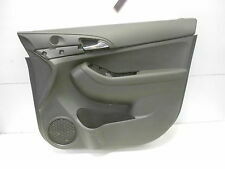 CHEVROLET ORLANDO Door Panel. 2012 CHEVROLET ORLANDO which we are dismantling. ORLANDO 2010 -2015 Mk 1. The Part imaged and described is th eactual part you will recieve. Colour and code Black : GAR. Removed from a 2009 CHEVROLET CRUZE LT 1800cc. FOR YEARS: 2009, 2010, 2011, 2012, 2013, 2014, 2015 (2009). DOES NOT INCLUDE SWITCHES BUT DOES INCLUDE INTERIOR HANDLE LHD ONLY. We Do Not Cover Any Labour Costs Involved With Fitting Or Removal Of Any Parts. This part was removed from a Right Hand Drive Vehicle. Compatibility is a guide only. Your item will need to be signed for. Door Panel. TRIM LEVEL. Mk1 2.0 Diesel VCDI 5 Speed. Offside Rear Door Card. Orlando LTZ VCDI (MK1 (J309)) (ABS). Electric Front & Rear Windows/Electric Wing Mirrors. Exterior Colour Code. 5 Door MPV. The table below contains further information. Manual 6 Speed. Front Upper Left Hand Driver Side Door Hinge. Door Hinge. Chevrolet Colorado. Part Number. 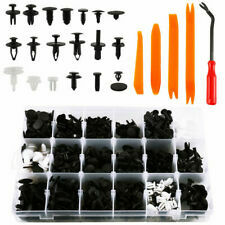 OEM parts are made of Thick High Quality Materials and will fit your vehicle perfectly. Other Part Number 2290-5175. 1995-1999 Chevrolet Silverado, Tahoe, Suburban. 1995-1999 GMC Sierra, Yukon. Huffines Chevrolet – family owned since 1924! There’s no need to guess if the part will fit, or to call a dealer who may or may not give you the correct part number – we are the source, and we’re here to help! Pontiac G5. Chevrolet Cobalt. Front Inside Door Handle Bezel Cup Finish Plug. Pontiac Pursuit. Door Handle Bezel Plug. Color Black. Primary Color Black. We have more than 15 years of OEM parts experience. THIS IS A PAIR OF NEW DOOR STRKERS FOR CHEVROLET AND GMC TRUCK 1947 THRU 1951. YOU GET ONE PAIR THAT ARE NEW. NO SCREWS ARE INCLUDED. Manufacturer Part Number 4751ds. Vaux Spares is one of the UK's largest independent specialist Vauxhall breakers, Vauxhall Motor Vehicle Dismantlers & Recyclers. Used: An item that has been previously used. See all condition definitions. Manufacturer Part Number 95175660. Chevrolet Cruze. Right Hand Passenger Side Inside Door Handle. 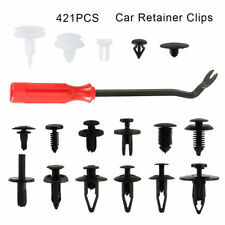 OEM parts are made of Thick High Quality Materials and will fit your vehicle perfectly. We have more than 15 years of OEM parts experience. Quick Search. Vaux Spares is one of the UK's largest independent specialist Vauxhall breakers, Vauxhall Motor Vehicle Dismantlers & Recyclers. Used: An item that has been previously used. See all condition definitions. 1.6 Petrol 5 Speed Saloon. This part was removed from a Right Hand Drive Vehicle. Compatibility is a guide only. Your item will need to be signed for. Door Panel. TRIM LEVEL. Part Number. 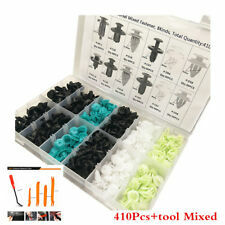 Manufacturer Part Number 10388387 25750066. Inside Door Pull Handle. Pewter In Color. Huffines Chevrolet – family owned since 1924! There’s no need to guess if the part will fit, or to call a dealer who may or may not give you the correct part number – we are the source, and we’re here to help! 13297407 CRUZE STEERING WHEEL MOULDING < span class = notranslate ' > 2.0 D 5 p AUT 110KW (2010) PARTS USED. MPN 13297407. IVA e CF 01468120298. Engine code (located at point P5 of the booklet): Z20S1. Removed from a 2012 Orlando (10/03/12). Please note that this comes complete with fully working fitted window switch block. Switch block could be removed and sold separately if required. LH Driver Side Front Door Red Armrest. Door Armrest. Chevrolet K-Series Blazer. Chevrolet Suburban. GMC Suburban. GMC Sierra C/K. Chevrolet Silverado C/K. Chevrolet Tahoe. CHEVROLET CRUZE 1.6 LITRE PETROL 2010 MODEL. PASSENGER SIDE FRONT DOOR CARD. MAINLAND UK. AJ SPARES is a large independent Vehicle Dismantlers. The Blue Containers. 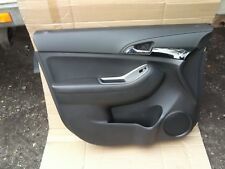 R/H - DRIVER SIDE REAR DOOR CARD taken from CHEVROLET ORLANDO 2011. OSR DOOR CARD. CHEVROLET AVEO. RH Passenger Side Gray Front Door Armrest. GMC C/K Series Sierra. Chevrolet C/K Series Silverado. Color Gray. Location on Vehicle Front, Passenger Side Door. Primary Color Gray. Part Number 15627856. We have more than 15 years of OEM parts experience. NSR DOOR CARD. CHEVROLET AVEO. CHEVROLET CRUZE 1.6 LITRE PETROL 2010 MODEL. DRIVERS SIDE FRONT DOOR CARD. AJ SPARES is a large independent Vehicle Dismantlers. MAINLAND UK. The Blue Containers. CHEVROLET CRUZE 1.6 LITRE PETROL 2010 MODEL. MAINLAND UK. PASSENGER SIDE REAR DOOR CARD. AJ SPARES is a large independent Vehicle Dismantlers. The Blue Containers. CHEVROLET CRUZE 1.6 LITRE PETROL 2010 MODEL. DRIVERS SIDE REAR DOOR CARD. MAINLAND UK. AJ SPARES is a large independent Vehicle Dismantlers. The Blue Containers. THE PART WAS REMOVED FROM CHEVROLET CAPTIVA LS 5 DOOR ESTATE 2. 4L (2405cc), ENGINE: DOHC 16V, PETROL. COMPATIBLE WITH OTHER PETROL AND DIESEL CAPTIVA MODELS 2006-20011 IF PART NUMBER MATCHES. Quick Search. Used: An item that has been previously used. See all condition definitions. Select Make. Select Model. Ecu's & Modules. Breaking Cars. Vaux Spares is one of the UK's largest independent specialist Vauxhall breakers, Vauxhall Motor Vehicle Dismantlers & Recyclers. LH Drivers Front Door Blue Armrest. Chevrolet Silverado. GMC Sierra. Chevrolet Tahoe. Chevrolet Suburban. Color Blue. Surface Finish Blue. Part Number 15961797. 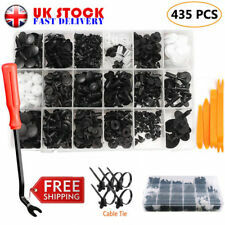 Manufacturer Part Number 10388390 25750064. Inside Door Pull Handle. Pewter In Color. Huffines Chevrolet – family owned since 1924! There’s no need to guess if the part will fit, or to call a dealer who may or may not give you the correct part number – we are the source, and we’re here to help!